Kern is the bassist and musical director for some of the biggest names in music including Beyoncé, Lady Gaga, Mary J Blige, Ne-Yo, Destiny’s Child, Chris Brown, and many more. He is an accomplished producer, songwriter, and arranger who credits his Detroit upbringing with electrifying his style. Detroit native musical director, producer, songwriter, programmer, and arranger, Valdez has most recently toured with Usher and Chris Brown. He has served as musical director for many artists on numerous network television shows, and on concert tours for Mary J. Blige, Sean Combs, Teddy Riley, Keith Sweat, Lil Wayne and other legendary performers. Oscar-winning Detroit-based musician, producer, and keyboardist Luis Resto began by lending his supple fingers to artists as diverse as Anita Baker, Patti Smith, and Was (Not Was). His ‘best kept secret’ cover was blown in 2001 at the start of a longtime collaboration with Marshall Mathers on The Eminem Show, and he composed music and co-wrote the smash hit single “Lose Yourself”. Detroit’s own blues and rhythm-and-blues superstar, Thornetta entered a local talent contest at the age of 15 and never looked back. She has opened for Bonnie Raitt, Gladys Knight, and Etta James, sung backing vocals for Bob Seger and Kid Rock, and has released two full length solo albums. Greg is an American keyboardist, singer, songwriter, and musical director based in Los Angeles, California. A prolific session musician, Phillinganes has contributed keyboard tracks to numerous albums representing a broad array of artists and genres. He has toured with notable artists such as Stevie Wonder, Eric Clapton, David Gilmour and Toto, served as musical director for Michael Jackson, and has released two solo albums. As one of the most established sidemen in contemporary American Jazz, Ron renowned for his versatility, improvisation, syncopated rhythms and funky accenting. Otis has worked with and supported artists Aretha Franklin, KEM, Earl Klugh, and Bob James. From his current gig with Kid Rock to previous work with Aretha Franklin, Earl Klugh, and Parliament Funkadelic, Larry brings the spirit of Detroit to a wide range of musical collaborators and his name appears on Gold, Platinum, and Grammy award-winning albums. He is currently producing several World Music projects under his label, BAP Records. Beth is a vocalist who has performed in more than 10 countries around the world including South Africa, Nigeria, London, and has provided background and support vocals to Mary J. Blige, Boyz II Men, Kenny Rogers, and many more. Beth is currently working on her solo CD, touring with Universal-Motown artist KEM, and is part of the crew on Greg Davis Morning Show. Cherri has worked with Kirk Franklin in The American Bible Challenge singing in the choir and is currently a backing vocalist for the pop artist Katy Perry. Follow her on her various social media platforms to see her latest covers, vlogs, and performances! A songwriter, producer, musician and vocal coach from Detroit who has worked with artists such as Aretha Franklin, Anita Baker, Wendy Moten, and Oleta Adams. In her youth she was part of a vocal group comprised of her and her sisters title The Ridgeway Sisters, who provided background vocals for genres including Gospel, Jazz, Blues, Hip Hop, Soul, R&B and more. Gloria has worked with artists such as Aretha Franklin, Mary J Blige, Keith Washington, Nancy Wilson, Ella Fitzgerald, and Barbra Streisand. Trumpeter, Bandleader, Composer, Arranger, Educator, and Producer, Walter White is a multi-talented musician. His expressive trumpet playing has led him to collaborate with may of the top names in music including Bob James, Maynard Ferguson, the Detroit Symphony Orchestra and has enhanced the sound tracks of records, movies, and television. A multi-instrumentalist who combines his mastery of the tenor, soprano, and alto saxophones with his additional talents with the flute, keyboards, and percussion. 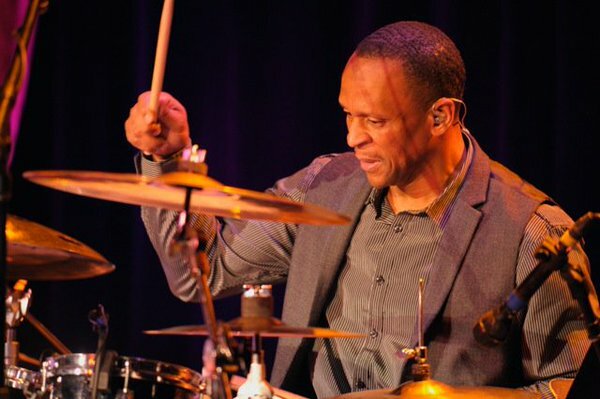 He has toured with Was (Not Was), Bob James, Chuck Loeb and Geri Allen’s electric band as well as worked with additional artists such as Iggy Pop, Nancy Wilson, and Freddie Jackson. He has worked with Ariana Grande, Ne-yo, Young Jeezy, and recording with Chris Brown. One of the leading freelance trombonist is the city of Detroit, he has also held many teaching positions at the university level at facilities such as Albion College, Henry Ford Community College, and Oakland University. John has performed and recorded with the Detroit Symphony Orchestra and the Michigan Opera Theatre Orchestra, and is a founding member of Motor City Horns.